We already know what Cat phones are about. Rugged quality, thick bodies built for rough and tumble, and about as tough as a guy called ‘Baksteen’ on the rugby field. If you’ve ever held one in your hand, you’ll know it’s hefty and reassuringly heavy. This is not a phone meant for a suit pocket nor the boardroom table, unless you want to show off your hardman credentials. For the S61, Cat managed to cram in even more features, proving itself not only rugged but also handy. We saw the S60 debut a useful infrared FLIR camera, and two new features are making it into the S61. Firstly, and perhaps the most useful, there’s a laser assisted measurement tool, accurate up to eight metres. I can see this being the standout feature on the S61. Yes, the infrared camera comes in useful when looking for a gas leak or the source of a fuse box problem, but the laser measurement can be a game changer. It does compete against a tape measure that can be skillfully handled by a handyman, and the eight metre standard is restrictive when measuring rooms. It’s easy enough to operate. Move the laser pointer around, hold still and snap a pic. From the phone you can select a different spot in the photograph to measure and it will still be accurate, while measurements can be quickly shared via WhatsApp, etc. 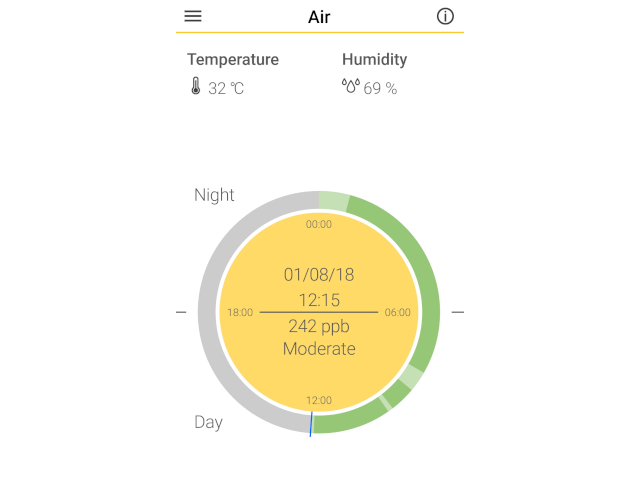 The second new feature is an indoor air quality monitor. For those in fumy working conditions – laying carpets for example – this might just be a lifesaving (or at least life extending) feature. It monitors the level of indoor air pollutants (VOCs) in the background, also measuring air temperature and humidity levels. You don’t know that it’s doing the work, but it will sound an alarm if the levels rise to unhealthy levels. By clicking on the app you can also have correct measurements on hand if you are unsure about health levels. Cat notes that the phone cannot detect individual gas or vapours, such as asbestos or carbon monoxide, rather that it should just be used to reduce exposure to VOCs. As mentioned, the Flir infrared camera is still onboard. It’s not a megapixel monster, instead shooting at only 640x480 pixels. 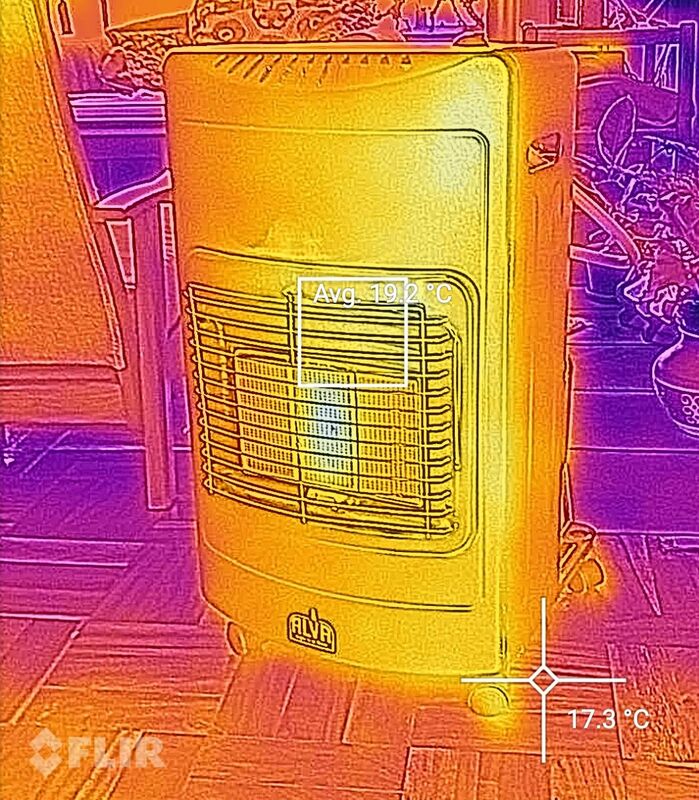 That’s enough, however, if you need to send an image to head-office to inspect, while the Flir camera is mostly used in live view mode to see what’s wrong. As always, Cat also includes a hub of different apps that comes in useful either for outdoor or handyman activities. 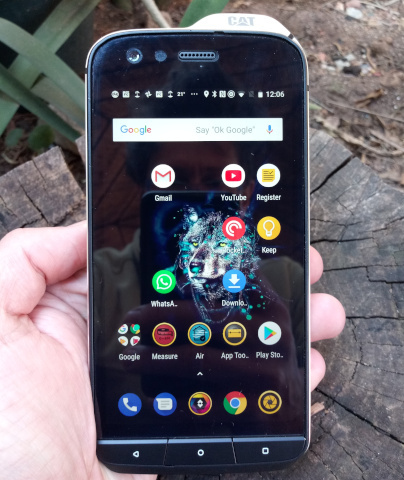 As far as specs are concerned, the S61 falls higher up in the mid-range than previous models. Onboard there’s a Qualcomm Snapdragon 630 octa-core chipset (2.2 GHz, as found on the Nokia 7), a solid 4 GB RAM and a decent 64 GB of storage space (expandable with a microSD card). Screen size stands at 5.2”, while the display is Full HD with enhanced brightness, made from Gorilla Glass 5. It works well in bright sunlight, while you can still operate it with wet hands or when wearing gloves. At 250 g the S61 is certainly not the lightest handset on the market, nor the slimmest, coming in at 163 x 78 x 13 mm. The front (8 MP) and back cameras (16 MP) are good, but nothing to write home about. The battery is, with 4500 mAh set to last you well into the night, or even a night without charging if you’re careful. It’s also Quick charge 4.0 compatible, which means less time for recharging and only a quick few minutes needed for a battery boost, plus USB Type C. It doesn't allow charging of other devices as the S41 does. The whole body is sealed tightly, while Cat put the S61 through its paces, qualifying it for IP68 & IP69 ratings, and MIL SPEC 810G, covering temperature shock, gunfire vibration, low pressure exposure and salt fog. One aspect I thought could have been a lot better, is the Cat’s speakerphone, and the same goes for the microphone when on speakerphone. I had complaints from callers having difficulty hearing me on the other side. It’s also not as loud as I would have liked. There’s not much else to crit on the Cat S61. It’s a workhorse built for those for whom ‘light’ should not refer to neither their beer or smartphone. The Cat S61 is the best one in the range by far, pushing it from a mid-range muddler to a strong performer where you don’t need to sacrifice processing power nor screen quality. 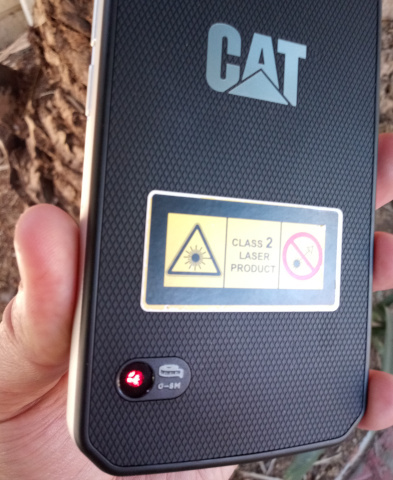 That said, with a price tag of R16k, the Cat S61 makes most sense in the hands of someone who would actually use it, meaning the Flir camera, air quality monitor or laser-assisted distance measure is needed. If not, there are other models in the Cat range, like the smaller and cheaper S41, which might be better suited. Perhaps just a note on Chinese competitors in the rugged space – none of them can keep up with what the S61 has to offer.